Iranian President Hassan Rouhani on Wednesday accused the US and its European allies of violating their commitments with regards to a nuclear deal that Tehran signed with world powers in 2015. US President Donald Trump and his French counterpart Emmanuel Macron announced on Tuesday that they were working on a "new deal" that would expand and extend the terms of the deal, also known as Joint Comprehensive Plan of Action (JCPOA). 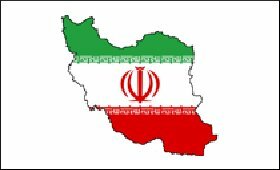 The JCPOA is an international agreement reached on July 14, 2015 between Iran and six world countries -- China, France, Russia, Britain, the US and Germany, plus the EU. Rouhani in a televised speech in Tabriz city said that Iran won't accept to add or omit even a simple sentence from the JCPOA. "If Europe minds to please Trump, they should mind its costs and avoid putting their hands in the pocket of noble Iranian people," he was quoted as saying by Islamic Republic News Agency. The Iranian President said they (Trump and Macron) had no "right" to renegotiate a seven-party agreement. He also dismissed Trump as a "tradesman" not qualified to comment on global treaties, according to a BBC report. "You don't have any background in politics," he said. "You don't have any background in law. You don't have any background on international treaties." Trump said the US will reimpose sanctions on Iran suspended under the deal on May 12 unless Congress and European powers fixed its "disastrous flaws". US and European officials were reported to have made progress on two of his demands -- for Tehran to give international inspectors immediate access to all sites they want to see and for Iran to halt development and testing of ballistic missiles. "Together with a leader of a European country (the Americans) say: 'We want to decide on an agreement reached by seven parties,'" Rouhani said. "For what? With what right?" Rouhani said Iran had "shown goodwill to the world" when it signed the accord and had wanted to prove it did "not seek to acquire weapons of mass destruction". He had earlier warned the US of "severe consequences" if it reimposed sanctions.